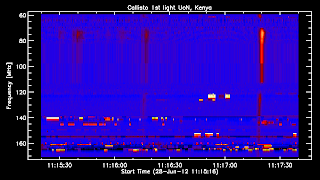 1st light of a Callisto system at University of Nairobi UoN in Kenya. It depicts some type III bursts. The antenna was built in their local workshop and it is based on the Indian/Mauritius design. The system was set up in Nov. 2011, see pictures below in this blog. The sensitivity is not as good as expected due to different reasons like high level of rfi and inperfect antenna construction. 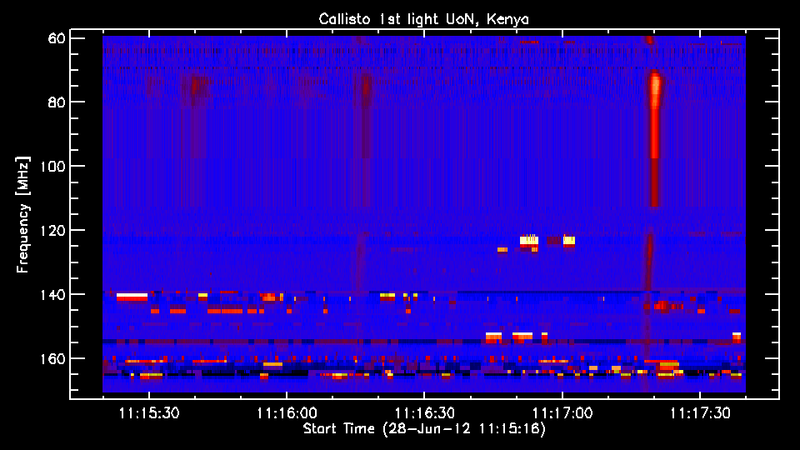 Nevertheless the instrument is operational, congratulations to the UoN-team. 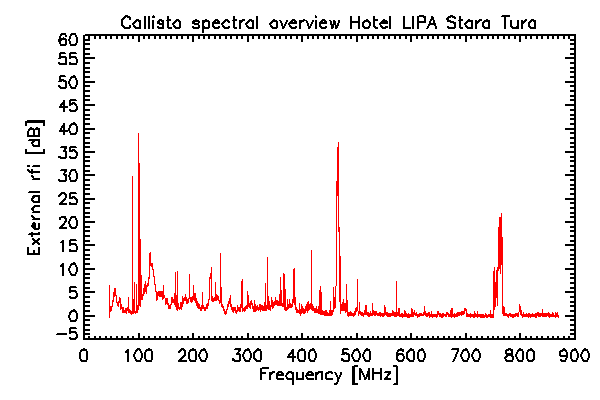 Spectral overview in hotel LIPA in Stará Turá, Slovakia during 21st national Solar Physics Meeting. 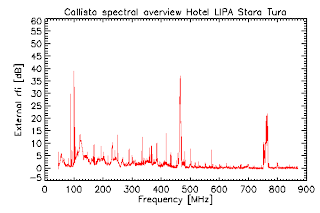 The antenna is a biconical from AARONIA, Callisto is without preamplifier. This location is much better in terms of rfi than SCO in Hurbanovo.